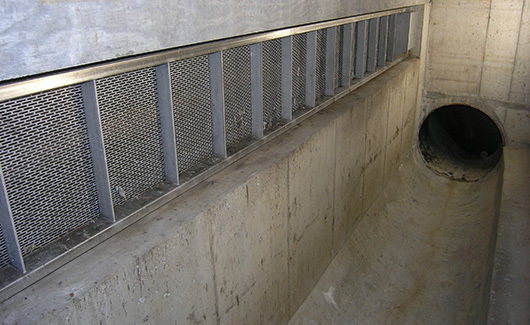 The ACU-SCREEN Fine Slotted Overflow Screen System is designed to remove debris from storm water overflow systems, combined sewer overflow (CSO) systems and sanitary sewer overflow (SSO) systems. 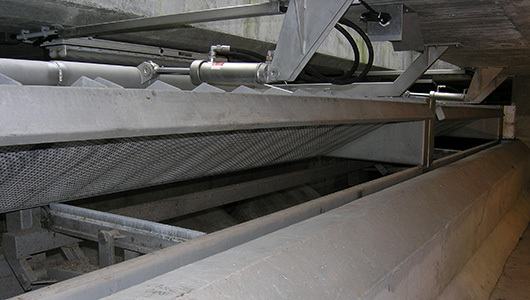 The ACU-SCREEN fine slotted screen provides an economic and effective solution to protect against floating and suspended matter entering receiving streams. 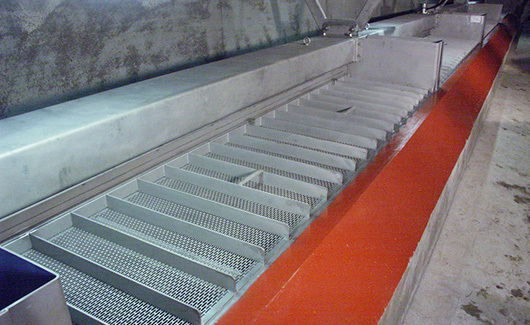 The ACU-SCREEN fine slotted screen is designed to be installed over storm water weirs, settling tank weirs, CSO weirs and flood discharge weirs. The ACU-SCREEN’s modular design makes it suitable for any type of overflow system and is easily retrofitted into existing structures. The ACU-SCREEN Fine Slotted Overflow Screen System models vary depending on the orientation, the drive mechanism, the number of modules and the overall length. The models are designated as GAS-***-***. The units are modular in design with a single unit being up to 30 feet (9 m) long. The units are currently designated with asterix due to the high variety of model options. The ACU-SCREEN Fine Slotted Screen System is designed around a special stainless steel slotted screening surface. The standard screen opening is 3/16 of an inch x 1 inch and a total free area of 50 %, achieving the highest possible degree of solids retention while minimizing the head loss. Other screening sizes are available. During an overflow event, the ACU-SCREEN fine slotted screen is continuously cleaned, no more than every 15 seconds, by the back and forth movement of the cleaning brush. Therefore, clogging of the screening surface should not occur. The ACU-SCREEN fine slotted screen cleaning mechanism is usually driven by a hydraulic motor which is in turn powered by a hydraulic power unit. 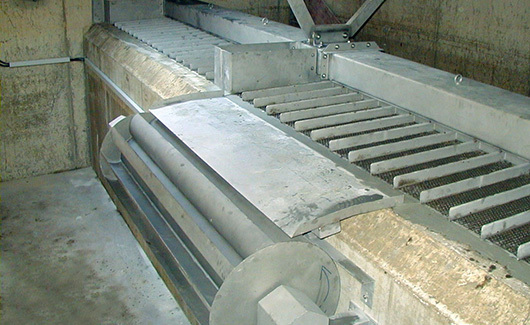 A weighted, self-adjusting brush, attached to the guide carriage, is driven back and forth across the screening surface, pushing all retained solids into storage areas, found at either end of the screen modules. The retained solids are discharged into the sewage stream at the end of an overflow event and carried to the waste water treatment plant for removal. The preferred installation orientation of the ACU-SCREEN is horizontal in order to minimize head loss. The ACU-SCREEN can be installed in the vertical position if required to reduce the footprint. 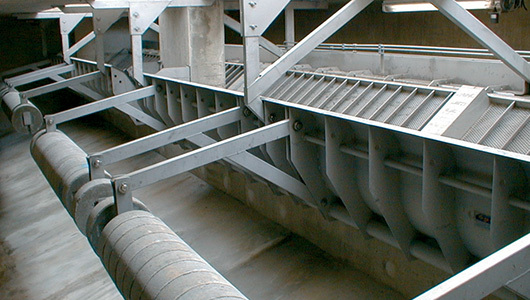 A diagonal installation is required when the ACU-SCREEN fine slotted screen is used in conjunction with the ACU-BEND bending weir to maximize in-situ storage and to minimize overflow events. The ACU-SCREEN fine slotted screen cleaning mechanism can be driven by an electric gear motor or without the need for external energy when powered by the water wheel system.